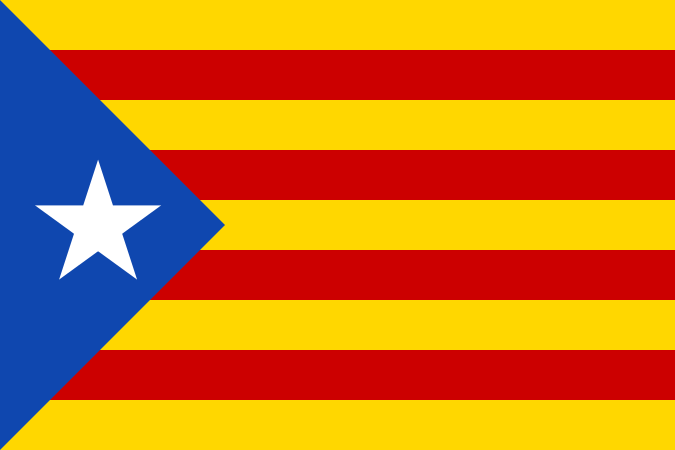 This is the Catalan Secession flag known as the Estelada Blava. The idea comes from flags of Cuba and Puerto Rico because both flags were originally used to show opposition to Spanish rule. On 9 November 2015, the Parliament of Catalonia adopted the Declaration of the Initiation of the Process of Independence of Catalonia. Catalonia has a public referendum on Independence scheduled for October 1st, 2017. 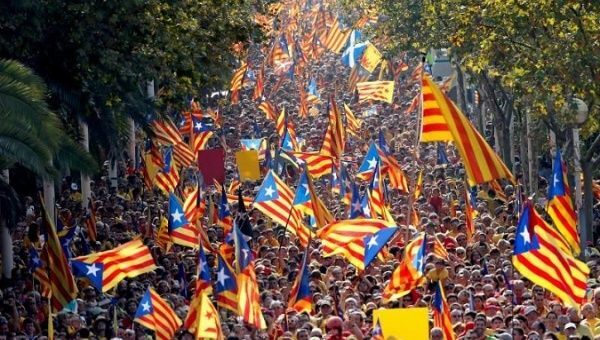 The Spanish Federal government has already declared the referendum illegal and threatened mass arrests of secessionist politicians.